With the upcoming release of Halo Anniversary (or CEA), Reach will be receiving a big shot in the arm in the form of seven new maps to drop into the multiplayer modes. From those seven, six will land in Multiplayer proper, and one is a Firefight mission culled from the Halo campaign. Given that the seven maps – which will be released as independent DLC sometime after CEA’s release – are likely to be the last we see for Reach before Halo 4 barrels into town next year, that means it will be just one of two Firefight maps released as DLC. As FUD’s resident Firefight enthusiast, I wanted to mount my soapbox and belt out a mixture of speculation and hopes for what could be included in order to make the final Firefight map, the best. The first question is, from what mission in the Halo campaign will the Firefight map be culled? There are many levels that have ample room for a good map, including Truth and Reconciliation, Assault on the Control Room and The Silent Cartographer. But one mission stands tall for several reasons, the titular second mission in the game, Halo. First and foremost, despite the release of Unearthed with the Defiant Map Pack, Firefight is still lacking a good vehicle map along the lines of Lost Platoon, and Halo is a map crafted end to end to accommodate ground vehicles. Plus, the setting is so iconic, with the rolling green hills, Halo ring yawning into the horizon and the Forerunner spires firing their plasma pulses into the distance, that I think it will prove to be too strong of a pull to resist. From there, several settings tantalize. The area where the Warthog is first deployed is suitable, but the central structure is too simplistic, featuring just two straight up ramps, much space would go unused on the path toward that most unnatural of cave formations. 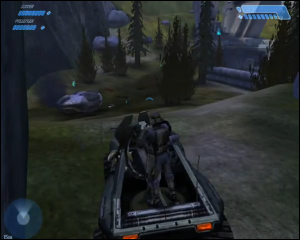 The two strongest candidates are both drop pod crash sites from the second half of the mission: the rock slide setting, and area with the central Forerunner structure surrounded by a hillside. Both would offer ample free roaming territory for a Warthog, dispersed cover for infantry, and some high points for sniping and would make excellent battlefields. The ideal Firefight space from the Halo campaign. I’d wager the area with the Forerunner structure in the center will be the setting. The central structure is a good place for infantry to hold out during last stands and for multiple spawn locations. Around the perimeter, the undulating green hills provide an excellent Warthog circuit, complete with jumps and obstacles. Along one side is a high ground, perfect for sniping, and as a Covenant drop zone. This is but one among several good locations from the mission. Beyond the setting, here are seven other points of hope and speculation for the upcoming Firefight map. 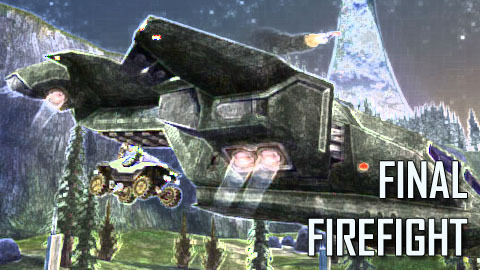 A base wave of Firefight consists of six squads of four soldiers each in Reach, for a maximum of 24 enemies at a time, with drop pods and vehicles serving as X factors. The number of enemies deployed in a wave does not scale in accordance to the size of the map. On a small map such as Corvette, that makes for a target rich environment. On a large map such as Unearthed, it makes for a sparsely populated map. 343 and Certain Affinity addressed this on Unearthed by spawning or dropping off Covenant squads on the perimeter of the map, and then directing their movement routines to collapse them all toward the central structures. Players in the middle are put into an intense, um, firefight, while most of the map goes unused; step away from the middle and it’s often a lonesome stay on the dusty expanse. If we’re to have a large vehicle map, the designers should break from the standard limitation of 24 enemies and bump it up a few squads. We’ve seen from the Reach Campaign that the synchronous networking model used in Campaign and Firefight can support additional characters, and while an increase might cut into the resource budget for those gorgeous skyboxes, it would be a small price to pay for a busier battlefield. The most aggravating aspect of Reach’s Firefight are the devastating cannons attached to the drop ships. ODST’s Firefight featured a much more humane Grunt gunner on a plasma cannon, which could be disabled by a well placed headshot. This was an effective balance between fearsome suppressing fire and something players could poke their heads out to take down. The drop ships in Reach feature no such balance, swapping out the gunner for a concussion cannon that can only be destroyed by heavy ordnance. During the start of most waves, they carpet bomb the battle field for up to a minute at a time, which is a nightmare on small maps such as Holdout; if you’re the poor soul they’ve decided to target, they make your (often short) life miserable without recourse. Given that the Firefight map will be set on the first Halo campaign, the drop ships will likely be Spirits, the tuning fork style ships with the cannon beneath the rear. 343 should swap the concussion cannon for the plasma cannon found in the Halo 1 campaign version of the ships, and make it more fair to disable. Reach’s Firefight is much easier than ODST’s iteration, and one of the main reasons is due to the behavior of the Covenant invaders. In ODST, the enemy swarmed toward players in packs, making for an intense game where players needed to work closely together against superior numbers of foes. In Reach, the six squads of Covenant per wave hold back, with only one advancing at time to engage players. The rest of the pack will not break their holding patten unless a player closes ranks to provoke them, or the advancing squad is taken out, at which point one more squad moves forward. This has the effect of reducing most games of Firefight into a shooting gallery, as players pick off the enemies chilling out in their respective holding patterns. This is a stark contrast to the AI routines given the Covenant who arrive via drop pods, who streak toward players in a pack straight away. An ideal balance would be one that scaled the number of enemy squads that advance with the number of players – two for single player, with one additional squad for each added player. But should that sort of update to the AI not be possible, I’d settle for an aggressive enemy throng in order to restore the challenge ODST featured and encourage players to work together. That would be much more interesting than what we see currently, encourages everyone to take up firing positions which are comfortably held for the duration of a game. ODST featured a few maps that had day and night variants, such as Crater and, appropriately, Crater (Night). At the cost of a new lighting scheme, we could get a map with an entirely different ambiance. Even better, 343 and company could configure the day and night maps to be set up slightly differently, with a different mix of vehicles, weapon drops and hazards in the mix (something ODST also did). This would create two very different looking and playing maps, creating much more bang for the development buck. One of the defining features of Firefight maps in Reach are crates plopped down to add cover elements. Used sparingly or placed carefully, they can be effective (such as on Courtyard). Used excessively, they’re a mess, as created on Glacier by over 35 crates adorning the base (which I suspect is the reason the framerate on that map is so poor). 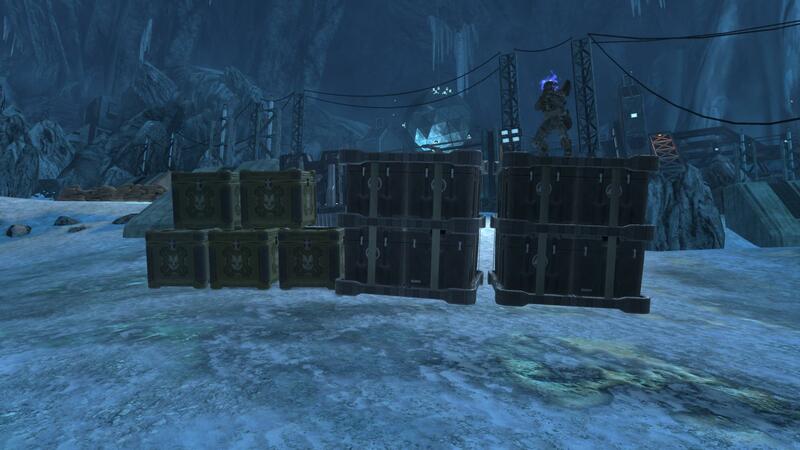 The crates plopped all over Unearthed are also wildly out of place, and the AI frequently get stuck on them. It’s odd that a map built from scratch for Firefight would need to have crates dropped all over it to create cover in the first place. 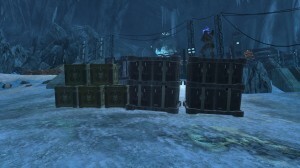 343 and CA should adopt a mantra for the new map: no crates. The map needs to be properly carved out from the Campaign such that it does not require the player to feel like Indiana Jones wandering down the mother of all warehouses in order to make it functional. Crates are one feature a new Firefight map does not need to include. Firefight is all about bringing together all of the elements of Halo’s combat sandbox into one maelstrom of awesome. There is one big element to that sandbox in Halo 1 that was not part of the ODST or Reach campaigns: the Flood. Now, Flood all on their lonesome can become a chore to plow through, their unyielding aggression making for fights that play out the same (often satisfying) ways each time. But drop in the Flood into an already occupied battlefield, and all hell breaks loose in some wonderful ways. The Halo 3 iteration of the Flood would re-animate corpses of fallen Brutes and Elites, as well as engaging those still living in combat. Added to Firefight they could be a remarkably interesting factor, changing up how battles play out on the fly. And they would create those massive three way battles that were a signature feature of the first two Halo titles, missing from the series since. 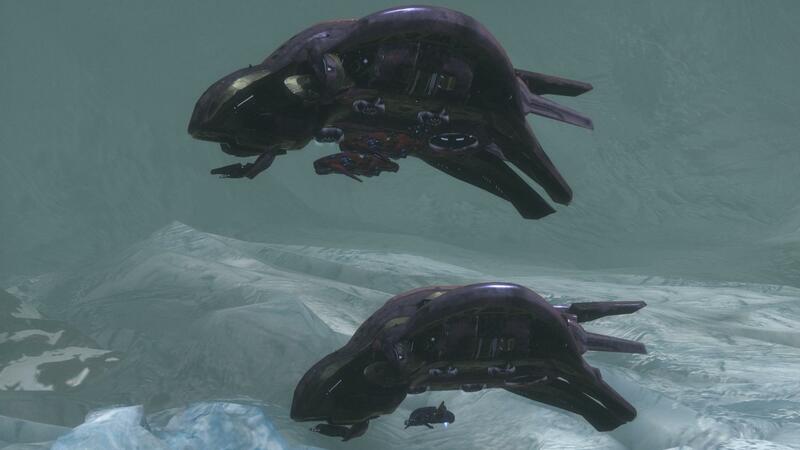 Imagine if alongside drop pods of Covenant, we had those drop pods of Flood from Halo 3 crash down, attacking everything in sight and reanimating corpses along the way. Heck, toss in some Sentinels and we’d have the definitive Halo combat sandbox. The possibilities are (hopefully) too rich to pass up. If we’re to have a great vehicle map, that means there needs to be vehicles to destroy on it, and lots of them. Enemy occupied vehicles in Firefight are delivered via drop ships at the start of each wave, which limits the number that can be delivered. With two drop ships per wave, that means the maximum number of enemy vehicles in play at once is kept low. Since many drop points on maps like Beachhead and Unearthed are vehicle-free, some waves have one or even zero deployed. (On Unearthed, vehicles are inexplicably rare, as drop zones where vehicles are deployed will often not see them appear, unlike the reliable Beachhead.) So if we’re to see vehicles deployed only by drop ships, they need to be made much more abundant. The Campaign mission ONI features drop ships carrying multiple vehicles at once – 343 should consider the same approach. Drop ships can carry more than one vehicle into battle at at time. Firefight, as with the Campaign, is not just for cooperative play, of course. It’s a single player experience, something the Score Attack playlist blessedly embraces. One of the great frustrations on Unearthed is the way it has been meticulously designed for vehicle play, but there is only one, lone, vehicle on it – the Rocket Hog. This means that solo Firefighters cannot engage in vehicular shenanigans outside of attempted ramming sprees. 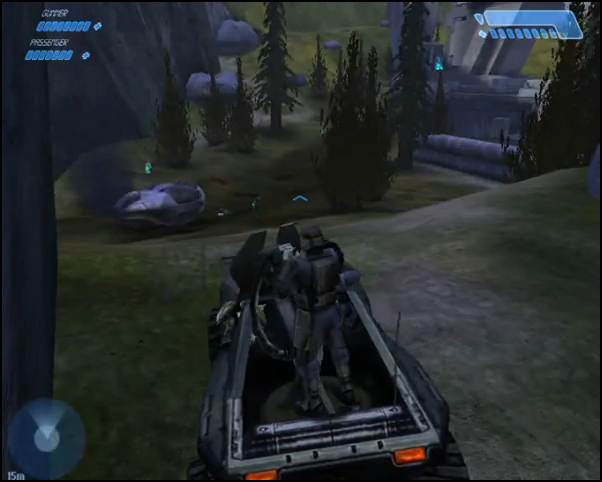 Beachhead is not the best space for vehicle play, but even it is equipped with a Ghost so that a solo player can get their vehicular mayhem going. This final Firefight map should likewise feature a Ghost or Revenant available at spawn so that lone players can hop aboard. 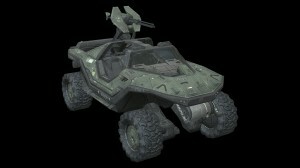 There is one vehicle which above all defines Halo’s vehicle fleet: the Warthog. It belongs on a Firefight map. The Rocket Hog is a noisy beast, but it’s also wildly ineffective at anything other carpet bombing the general vicinity that low level infantry occupy. Throw some more challenging foes into the mix, and the result is as comic as it is frustrating. It would be all sorts of wrong if Reach’s wonderfully robust Firefight mode sunset without Halo’s signature ride to romp through it in. How would the flood be implemented? Great, read Ghaleon! I must agree that the Warthog(Puma) must be put in the next map! Also including the flood into the fray of firefight would be really amazing. I could visualize it while reading your article. I hope its a possibility for the future. The number of enemies and vehicles sounds like a gametype issue, and I think Bungie said Firefight can’t be customized like regular multiplayer. The side plasma turrets on Phantoms in Halo 3 and ODST were a joke on anything less than Legednary for the exact reason you said: you can take out the operator with one shot. I suspect giving Spirits on the map a different weapon would be beyond the scope of what they can or are prepared to do. I’d be fine with the concussion cannon or whatever you call it being a little easier to destroy, but I don’t think they’d do that for just one map. Day and night maps would be nice, but as you pretty much said they would be for most intents and purposes separate maps, and we’re only getting one. I’ve been waiting for the Flood since ODST, and I’d be amenable to a standard Warthog. The thing about crates is they provide mobile cover– not so much cover you can move around as cover you can’t count on staying put. It increases how much you can do with an environment and also how much you should be paying attention to it, both of which I find interesting and tend to like. These are all wonderful ideas, but unfortunately I don’t think a lot of them can be implemented since they require all new models, AI behavior, and/or code. The multiplayer disc will probably only be able to sustain the new maps on the existing infrastructure; any changes like Flood or new model dropships would have to also rewrite Reach’s existing code, and that kind of update would be several GB in size. The other thing is that I’m not a fan of taking Multiplayer/Firefight maps from Campaign because I get bored with them easier. I feel like I’ve played one a thousand times when really I’ve been playing the other. It also strikes me as laziness on the part of the level designers. Noble and Defiant were amazing because they gave Reach original, well-crafted maps. While I’m certainly looking forward to seeing some of the old maps back in Anniversary, it’d be nice if the Firefight map was a new take on an old classic. Say, instead of pulling one of those areas you mentioned straight from campaign, they turned it into an amalgamation. And yes, there really needs to be more vehicular shenanigans. It’s something I’ve been sorely missing out on, as a frequenter of the Score Attack playlist. 343i would have to turn off the overheat + cooldown on the standard Wort Hog for it to be very effective. A simple replacement for the Rocket Hog might be trading down, not up. Put a bloody Scorpion on there and have at it. Score Attack is mindless fun and people like easier kills as evidenced by FRG, Rockets and such being so popular. Let’s blow the poogies out of them. We can call the Firefight gametype, BOOM! Also, that’s not what score attack is, and I personally don’t like the sort of gametype you described. Maybe there is SOME point to them but I think they’re junk. Oh dear the rocket hog… It’s fun to fire and drive around in, but it really is ineffective! I actually like the drop ship concussion guns. Sure they were terrifying to anybody encountering them for the first time, but I daresay most people know how to weather through their salvos by now. If it was changed back to ODST-era cannons, it’d be way too easy to just wait at the drop zone with a hammer and kill the Covenant before the fighting even begins. Annihilating a whole group of Covies while dancing through the purple carpet bomb is immensely more thrilling. I love reading your firefight articles. While I am mostly satisfy with today’s firefighting scene, I feel there is so much more we can do with it. Your suggestions add a lot of insight to what we can do to improve the experience. Perhaps you should link this article, and maybe even your last firefight article, in the Bungie or Waypoint forums? I think more people should read into this, and help shape the future firefighting scene. I hear they already have an appointment for Milliman with doc Meyer. They have to make Milliman look crazy and discredit his story. Too bad that releasing any medical reports about Milliman would be against the law. Maybe the report will mysteriously leave one of the desks at the SO and find its way into the wrong hands like other reports have. If I were Milliman I would bring a good lawyer and a recording device to the doctor appt. . Zane has already deposed doc Meyer. ok,what? I don’t know who any of those people are, and even if I did, what do they have to do with anything? !